Azure eliminates business constraints. Deploy new capabilities faster, innovate with lower risk, take advantage of flexibility in scale and reach, and spend smarter with metered pricing. What is Microsoft Azure? 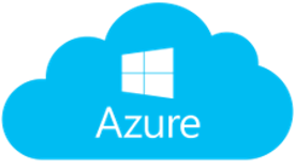 Azure is a technology platform that allows you to develop computing and data storage tasks in the cloud across a network of secure, Microsoft-managed data-centers. With Azure, you can complete tasks at any scale and on-demand using a pay-as-you-go plan. Azure gives small and midsize businesses the computing power of much larger organizations without the need to invest in server hardware or a large IT staff to manage it. Why Microsoft Azure is a Good Fit for You? Digital transformation is key to staying competitive. Technology is constantly moving forward, and with Azure, you can be too. Flexibility – Azure supports several different tools and open source technologies like Linux, Java, and PHP Web applications. With Azure, you won’t be forced to choose between housing your data or operations internally or migrating to the cloud. You can take advantage of Azure’s hybrid capabilities to maximize your cloud investment where it makes sense for your business. Pricing and Scalability – Azure helps businesses reduce overhead costs associated with data storage, server maintenance, and networking. Azure’s pay-as-you-go pricing means you only pay for what you use. And if your business changes tomorrow, it’s easy to change the scale and scope of your Azure solution. Protection and Security – Security and Privacy are built into the Azure Platform through Azure Security Center, giving you complete visibility and control over security threats. Azure uses industry-standard protocols to encrypt data in transit and at rest, and Azure’s compliance coverage is more comprehensive than any other cloud provider, meeting a range of international and industry-specific standards.